Oil of oregano? The spice that makes spaghetti tasty also makes you healthy? Bring on the pasta! Okay, it's not really like that. It is the same family of plants, but the healthy oil extracted from oregano comes from a different kind than that which is used for cooking. The kind extracted from the origanum vulgare contains carvacrol, and has all kinds of good-health-supporting properties which is why it can keep you healthy by strengthening your immune system during cold and flu season. This is one of those things that you should start or increase when or if you feel a cold coming on. This oil is good at killing the bugs that cause colds, sore throats, and so on. You don't need to be in the habit of taking it daily; it may make iron more difficult for your body to absorb. Alternatively, if you feel the need to be covered at all times, a drop or two each day under the tongue coupled with some good iron supplements will keep your defenses up. There are other reasons to have oregano oil as part of your diet besides fighting off colds. It's good for digestion, flexibility, skin, and more. Just remember to use very small doses - no more than three drops at a time, probably no more than three drops per day. To take it internally either place the drops underneath your tongue or mix it with a glass of juice. The latter method is probably easier for most people because the pure oil - even a couple of drops - can be spicy enough to make you cough. If you apply it to your skin, be sure to thoroughly dilute it with olive or coconut oil. The keys to your health are all around you. You just have to clear away the man-made junk to find it. Oil of oregano is very easy to use. What's stopping you from being healthy? 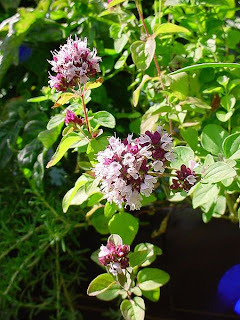 Here is my Amazon Affiliate link for the oregano oil I actually use: N.American Herb Spice - Oreganol (Oil Of Oregano) .